Anthony Bourdain, TV show host, author, and celebrity chef was found dead in his hotel room in France this morning. CNN broke the news, and the network confirmed Bourdain died by suicide on Friday (June 8). “It is with extraordinary sadness we can confirm the death of our friend and colleague, Anthony Bourdain,” CNN said in a statement Friday morning. “His love of great adventure, new friends, fine food and drink and the remarkable stories of the world made him a unique storyteller. It was reported that Bourdain, 61, was found unresponsive in his hotel room Friday morning by fellow chef and close friend, Eric Ripert. Bourdain was in France recording a segment for his show Parts Unknown, which is currently airing its 11th season. 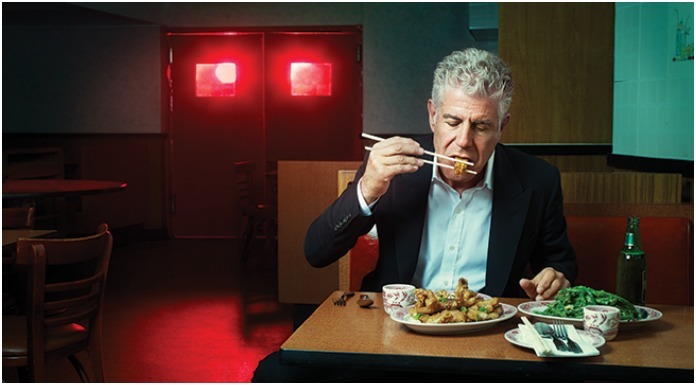 While he was most well-known for his career in the entertainment industry, Bourdain also expressed a love of punk music. I’ve been trying to process but it’s hard to navigate the wake of losing a hero. This one hurts bad. Anthony Bourdain nurtured a sense of wonder about the world that encouraged me to be a touring musician. He made me want to leave the venue to explore, and then travel more. Waking up to the news of another artist taking their own life makes me incredibly distressed. I hope that they are both free from the pain they where trying to escape. After a week like this I think it bears repeating that you matter and you are loved. His death comes days after the reported suicide of 55-year-old fashion designer Kate Spade.